Ques. Why should I buy a critical illness cover? Ans. Critical Illness cover is for specific diseases like cardiac/cancer etc. Generally list comprises of 8 to 12 but in a specific company this may be as high as 35.On happening of the diseases lump sum payment may be made – giving you the option of choosing the treatment. For example you may like to have naturopathy or yoga path as guided by Baba Ram Dev. Generally this policy is given by Life Insurance Companies as a stand alone policy or as an additional rider in your life insurance policy (against some additional premium).Even now you can add it to your existing policy in case it does not have this rider. Ques. Does my Individual Insurance Policy cover mental health benefits (treatment for mental diseases)? Ans. No it does not cover treatment for mental diseases. We do hope that in near future insurance companies will come out with innovative products which will cover this. Ques. Will my health insurance coverage Clinical Trials? Part of hospitalization in a reputed hospital like AIIMS, capable of conducting clinical trials under controlled conditions. Then it will be payable. If it does not fulfill these conditions then you may have difficulty in getting it paid as the issue is around treatment as well as the price of the medicine. Ques. What's the Difference Between Co-pays and Co-insurance? Ans. Copayment is that what % you will pay and the balance is to be paid by the insurance company. Coinsurance is not applicable to individual’s health insurance policy. It is applicable to insurance of large plan with premium say Rs 20 lakhs and above where 2 or more insurance companies share the premium and the risk. The insurance policy is issued by Insurance Company having maximum share, then it collects the premium and gives cheque to other insurance companies. At the time of claim, they pay the claim and collect the amount from the insurance companies. Ques. Which medical tests does an adult above 45 years needs to go through? As the age progresses, the list increases. For 60/70 years, the list will comprise of extra tests. Ques. I have been covered by my husband's group health plan through his job, but now we are getting divorced. What will happen to my health benefits? Ans. You will lose the benefit. You should buy Health Insurance immediately out of your funds. Ques. I own a pet and my vet bills are sky-high. Is there such a thing as health insurance for animals? Ans. It depends on pet. But definitely it is not part of Health Insurance policy which is for human beings only. Cow, buffalo are covered under Cattle Insurance. Please describe the pet so that we can answer your question more specifically. Ques. Is the Critical Illness policy just another name for the Mediclaim policy ? Ans. No both are very different products. Ques. Who is entitled to an overseas mediclaim policy? Ans. It can be purchased by any one who is planning to undertake overseas trip (foreign trip) by road/sea/air. Your normal policy is valid only in India and is not valid outside India. Ques. Should I pay my premiums through the agent? Ans. If he is ready to provide you the service – yes. It is your duty that cheques should reach the insurance company well in time. Not picking up of the cheques by the agent is no excuse. If your cheque has not reached the insurance company on time, your policy may have a break and you may lose the benefits. Ques. Is there any disadvantage if we buy health insurance as part of group insurance (for e.g linked to account holders of banks) if the right cover amount is taken. Ans. There is no disadvantage. You should keep in mind that if you close your account with that bank then you are out of that group and hence the benefit of policy is also gone. Ques. I already have a health insurance policy. Should I still buy a life insurance policy with the riders? Ans. 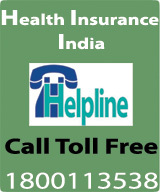 Health Insurance Policy covers your hospitalization needs. Life insurance covers your retirement needs. Adding of critical illness rider will take care of incidence of you getting critical illness like cancer. Every product is different and fulfills different needs. Study it and make a decision. Ques. hi! are the new clinical and pathological tests, not available in India and done abroad covered under the mediclaim rules of the country? If no, are efforts being made to do? Ans. You are only permitted by some insurance companies to take e-opinion. 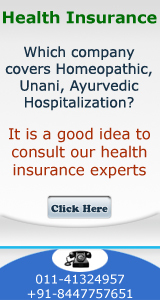 Your suggestion is very good and we feel Insurance companies will start offering the same. If Textile industry is permitted to get flammability tests done on garments in Hong Kong then why Insurance companies should not permit clinical and pathological tests (not available in India), which are to be conducted in foreign country.